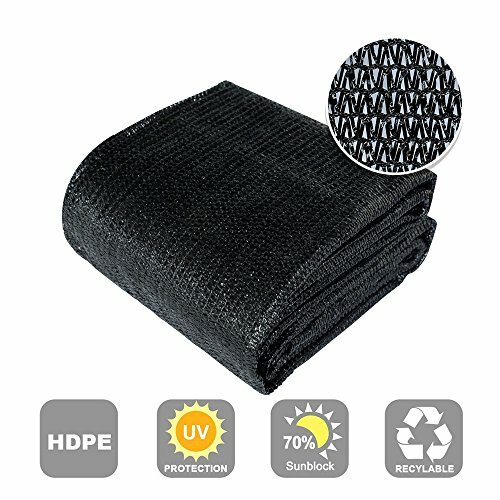 Agfabric sunblock shade fabric, on 30% rate, have a general propose for the outdoor sunblock.It can be used to protect your plants from the over sun over heating,also you get a more comfortable outdoor living place. UV resistant material and long life span. Easy to put up, come with clips for installation. Size: width 10 feet. and length 30 feet, Black.